Microsoft’s practically complete withrdawal from the smartphone device market is a bittersweet thing for its fans. On the one hand, it means the company is even less interested in making smartphones. On the other hand, it could also mean that Redmond has more resources to devout to a high end, still mythical Surface Phone. But while Microsoft bids its time, it seems that HP will beat it to the “really premium Windows 10 Mobile smartphone” punch. Yes, the HP Elite X3 is still a thing, is still coming, and might even come with a fingerprint scanner to boot! 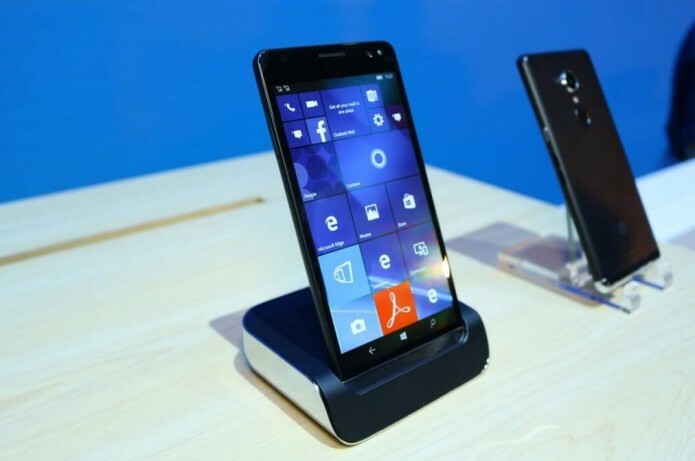 The HP Elite X3 smartphone slash laptop landed on the scene way back in February at MWC 2016. It made a rather intruiging proposition: a high-end Windows 10 Mobile phablet with HP’s “somber” business-centric design that comes with a “Mobile Extender” dumb laptop that takes advantage of the Continuum for Phones feature. It is practically a larger, and hopefully more premium looking, Lumia 950 XL that comes with a portable display and keyboard so you won’t have to scramble to find one when you’re out and about. There has been so many missing pieces, unanswered questions, and unannounced dates beyond a summer launch that have caused some to wonder if the thing is dead on arrival. Apparently not.